The lack of stock visibility and control in automotive service shops creates delays for the technician working on a vehicle and conflicts in vendor and customer relations. Imagine the same scenario in a hospital setting where unavailability of the right product or accidental usage of an expired or recalled item in a procedure can endanger a patient’s life. It is a violation of Joint Commission compliance to have expired or recalled products on the shelves, and it also creates a clinical risk which can be a very costly liability. As a result, healthcare organizations must have a robust stock-keeping and item-tracking process in place. 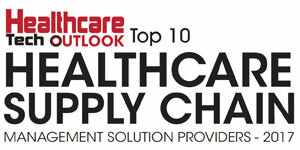 Proper inventory and materials management is critical in the healthcare industry. VUEMED understands that poor inventory control means patient safety risks, decreased quality of care, and a loss of revenue due to mismanaged supplies. VUEMED addresses the needs of healthcare organizations by combining its powerful Cloud analytics and reporting applications with the fastest growing segment in the radio frequency identification (RFID) market: passive UHF-based RAIN RFID technology. “It is impossible to manage healthcare inventories without the use of technology because there aren’t enough eyes and hands in the field to keep track of each product from its point of entry in the hospital all the way to the point of care,” explains Arnold Chazal, CEO and Co-Founder of VUEMED. This company’s ecosystem of RAIN RFID solutions is designed to capture data efficiently and accurately—without human intervention—and generate meaningful and actionable reports. Individual tracking of items is possible with passive RFID tags affixed on every medical device or product. Each RAIN RFID tag contains comprehensive information about the item, including its unique identity, lot or serial numbers, production details, and expiration dates. The foundational technology in VUEMED’s ecosystem of RAIN RFID solutions is VueTrack-RF. What sets VueTrack-RF apart from other RFID solutions on the market is its ability to capture data using antennas in open spaces rather than being restricted to a cabinet or shelf. The inventory is tracked at an individual item-level in the Cloud and includes information about recall and expiration status, utilization details at the point of care and by physician, movement of supplies throughout the organization, and all removals or transfers. VueTrack-Mobile leverages VueTrack-RF’s capabilities on-the-go with a hand-held RFID device using VUEMED’s application. It is ideal for conducting cycle counts, performing audits, or controlling consigned inventory. VueTrack-UDI is an immediate compliment to VueTrack- RF and VueTrack-Mobile, as it produces RFID tags that are compliant with the Unique Device Identification (UDI) requirements of the FDA which brings benefits both to manufacturers and hospitals. On the clinical end, VUEMED offers three complementary solutions. VueSurg utilizes RAIN RFID-based embedded chips in surgical instruments to track them individually, as well as their trays, through the sterilization process to their use at the point of care. VueTray is a similar solution developed specifically for orthopedic implants; it identifies each tray and its contents, and documents the utilization of each implant. And for non-critical, high-velocity, low-cost items consumed by hospitals, VUEMED offers an automated RAIN RFID Kanban system known as VueBin: alerts and analytics on depletion and replenishment rates allow the user to make informed decisions about replenishment levels, par levels on a rack basis, and so on.